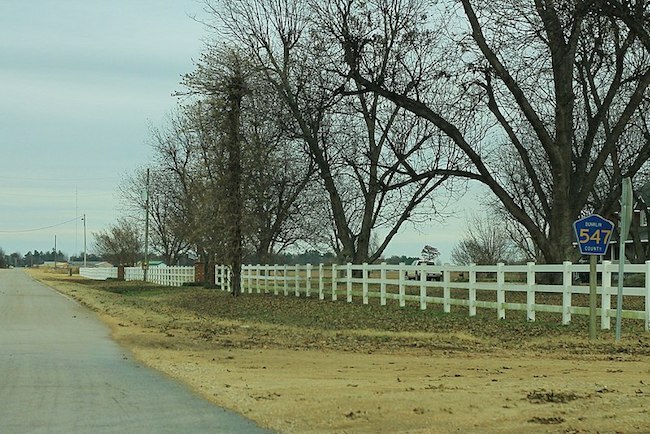 After a feasibility study determined that FTTH would work well for Pemiscot-Dunklin’s service area, the cooperative decided that they would abandon other technologies in April 2017 shifted their focus to exclusively FTTH. Construction started in October of the same year. One of the reasons for the Bootheel’s agricultural success is its flat, soft soil with no rock; underground deployment is less challenging than in other regions. Damaging ice storms, however, can damage aerial infrastructure. In 2009, a massive ice storm took out approximately 80 percent of the Pemiscot-Dunklin system and the cooperative had to rebuild. When adding to existing infrastructure, engineers from the cooperative must always consider the ice load, which increase the cost of aerial deployment. The favorable geology, the added expense to cover ice load, and a local contractor that offered an affordable price on underground deployment, convinced Pemiscot-Dunklin to bury 99 percent of their fiber. Access to the public right-of-way and the ability to deploy without the need to negotiate pole agreements with other utility companies weighed in favor of underground deployment. It was a common sense decision that reduced deployment costs and resulted in infrastructure that will endure the elements tucked safely underground. They began connecting members to the network in July 2018. The co-op is already offering high-quality Internet access in much of their service area, but once they’re finished deploying infrastructure, the fiber will run approximately 1,200 miles in total. They recently finished phase one — the majority of Dunklin County — of a four phase deployment plan. Phase one begins at the southern edge of Campbell in the northern area of the county and expands south to midway between Kennett and Senath. With the exception of some rural areas in the southern half of the county, even the most rural areas have FTTH. Pemiscot-Dunklin intends to also deploy in these areas. The cooperative hopes to obtain a 37 percent take rate, or approximately 1,000 subscribers, in the regions where they’re installing fiber. At this point about 750 have committed with contract, and the cooperative is connecting them one at a time. Approximately 1,700 potential subscribers across the deployment area are pre-registered. About 600 subscribers are connected and active. Davis estimates 3,000 members will subscribe by the time deployment is complete. When planning deployment strategy for phase one, co-op engineers worked from population density. Their approach makes the service available to as many subscribers as possible, which in turn helps grow the network. If more people can connect in the earlier stages, word quickly spreads and it’s easier to connect those who are interested in switching. Connecting more addresses sooner also allows the co-op to maximize the revenue earlier. As the cooperative connects premises in the remaining phases where population density isn’t as intense, they’ll consider demand foremost. Phase two will take the cooperative’s network into central Pemiscot County. Davis says that there are at least three small rural areas that don’t take electric service from the cooperative where they will deploy broadband. As word gets out about the deployment, more communities that obtain electricity elsewhere have contacted Pemiscot-Dunklin and asked the co-op to build within their community. They’re considering each request on a case-by-case basis. Pemiscot-Dunklin provides electricity in the rural areas around towns in the deployment area, but doesn’t serve within town limits of several of the towns. They're considering overbuilding to compete with incumbent providers within town limits of several towns. The advantages that led them to deploy underground in rural areas and the ability to construct in a neighborhood without the need to negotiate for pole attachments is encouraging. The co-op estimates that the entire project will cost around $28 million. The Delta Regional Authority (DRA) recently awarded the co-op a $750,000 grant toward the project, but the cooperative will be funding the remainder of the project. The FCC eliminated a large number of census blocks in the Pemiscot-Dunklin service area region as possible candidates for the Connect American Funding Phase II Auction (CAF II). The co-op wasn’t able to bid for grants to serve large areas in the region because census blocks were removed from eligibility. The local fixed wireless ISP began years ago as a local telephone company and, een though they only offer telephone service in three small towns in the area, reporting to the FCC reflects that they offer service to a much larger area. Pemiscot-Dunklin or any other entity could not bid for CAF II funding for broadband infrastructure to serve those census blocks. What Do Subscribers Get From Pemiscot-Dunklin? Unlike many new entrants into the broadband market in recent years, the co-op has decided to offer triple play services. After talking to members to determine what services were in demand and available in the region, and partnering with neighboring co-ops, Pemiscot-Dunklin has been able to find affordable methods to bring Internet access, voice, and video to members. Davis says that voice service has been a surprise. They’re working with a telephone provider that’s using the co-op’s infrastructure for VoIP. For example, the old phone service at the cooperative offices often suffered from buzzing and static and when it rained, it was almost unusable. With the new service, connections are clear and reliable. Even though take rate for voice services isn’t high, says Davis, the subscribers who have it, love it. Cooperative leadership decided to offer video in part because many members are elderly people more inclined to use a video service than switch to streaming video services. Pemiscot-Dunkin is partnering with Co-Mo Electric Cooperative and reselling the video services that Co-Mo offers their own members. SEMO Electric Cooperative also borders Pemiscot-Dunklin’s service area and the two have forged an additional partnership for video services much like the Co-Mo collaboration. The partners include local video channels in their lineups, which are favorites among members. Looking back, Davis is surprised at the ease of the phase one process and he attributes much of that for the strong demand for high-quality Internet access. In the Bootheel region, there’s a high percentage of lower-income households and large corporate ISPs haven't been interested in deploying in the sparsely populated area. People in the region have been “starved” for good Internet access; when word spread that the cooperative was planning to deploy gigabit connectivity to members, locals did whatever they could to support the project. The co-op board talked to members at annual meetings to get their thoughts and opinions on whether or not to pursue the project and what services to offer. Board members also approached farmers and other constituents to hear their thoughts. To meet the needs of their members, the cooperative is working with several farmers interested in using the network for automation, including climate monitoring, rain gauges and well controls, and they anticipate more demand for similar services. VoIP service is available for $29.95 per month and subscribers can choose from several TV packages. The cooperative has additional add-ons, bundles, and business options. Installation is free if subscribers sign up to be connected during construction in their area. So far, subscribers have been thrilled. A professional photographer in the small rural town of Hornersville subscribes to gigabit service called the office about his new service. When he uploaded his work to an online portfolios for clients, the process on his prior connection took six to eight hours due to the large size of the image files. With his new gigabit connection, the uploads finished “before he could finish typing the description.” The photographer posted about his experience and a screenshot of his upload speeds on Facebook, prompting an uptick in calls from potential subscribers. When he called the office to let the co-op know how it was going and thank them for the service, "he was so giggly he almost couldn't talk" says Davis. Image of Senath, Missouri, by formulanone from Huntsville, United States [CC BY-SA 2.0].